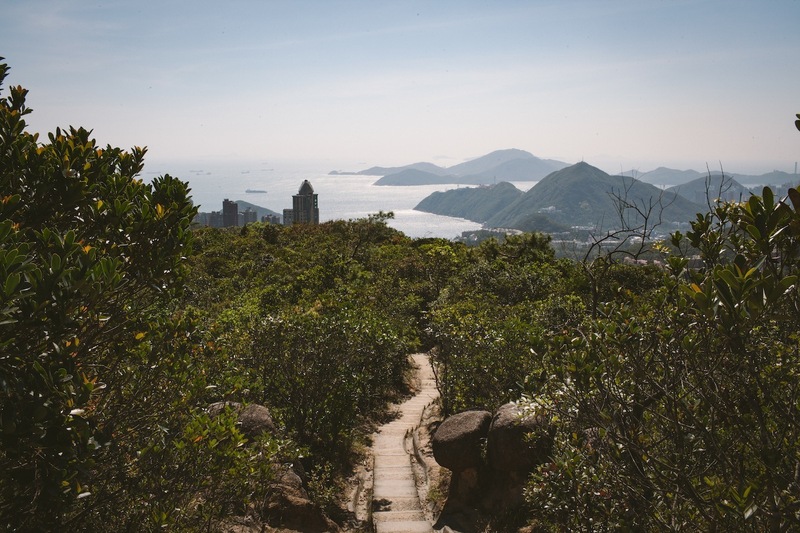 Stage two of the Wilson Trail, which stretches from Quarry Bay to Tai Tam, is a hike to rival Hong Kong’s famed Dragon’s Back. 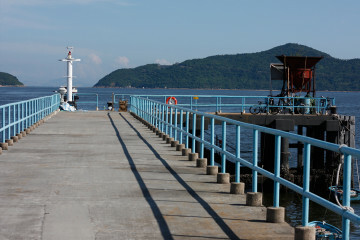 It has varied views of skyscrapers and greenery, less foot traffic and more challenging terrain than its better-known counterpart – and a past not to be forgotten. 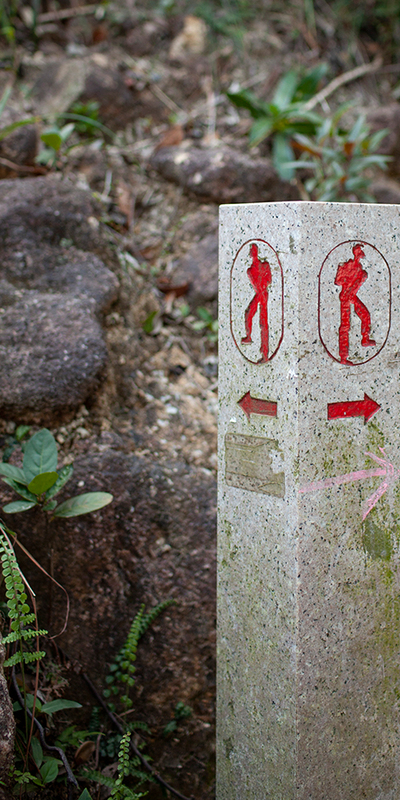 Some say it is the unsung hero of hikes on Hong Kong Island. 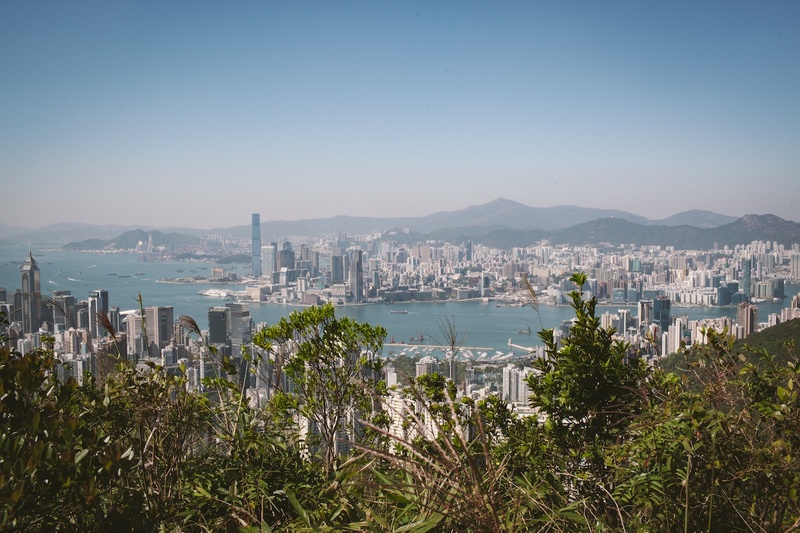 For those who welcome the physical challenge, and would like to spare their knees harsh downhill paths, it is best to hike north to south, beginning with the Quarry Bay Tree Walk, a few minutes jaunt from Tai Koo MTR station. 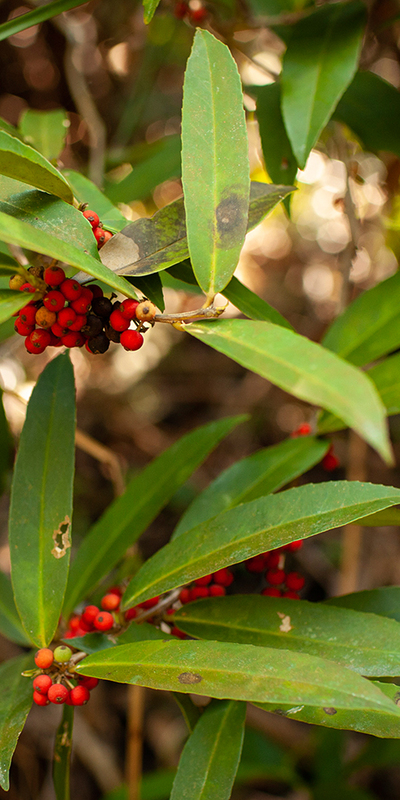 Keep an eye out for the small red hiking icons, as there are often no worded signs at junctions on the hike. 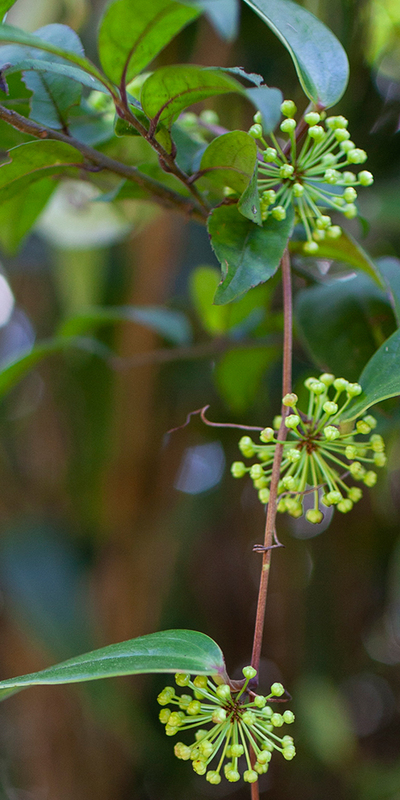 The tree walk provides signs identifying native and non-native flora, from the native Yellow Cow Wood (wong4 ngau4 muk6 黃牛木), a medicinal plant, to the Australian Brisbane Box, called “one of the three treasures for forestation” — they are among the first to recover after fire and their sturdy trunks appear to have weathered Typhoon Mangkhut in stride. 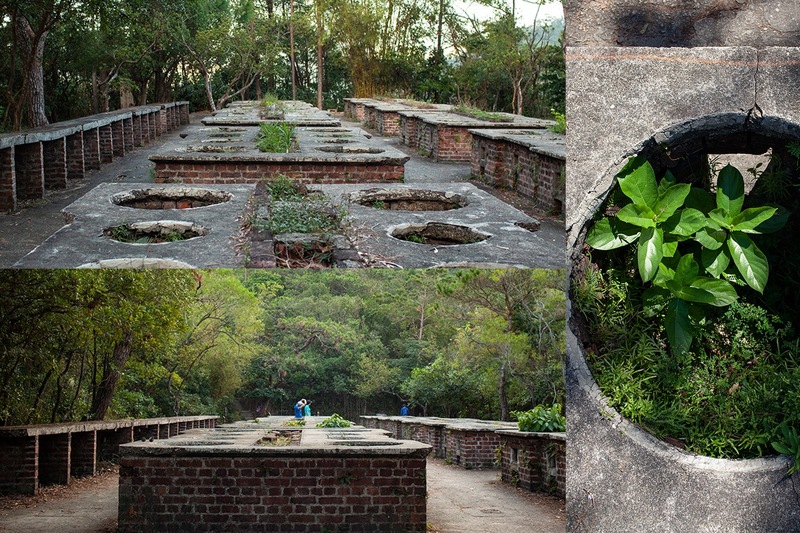 On the northern slopes of Mount Parker, the trail passes through two unique remnants of Hong Kong’s history: the Wartime Stoves. 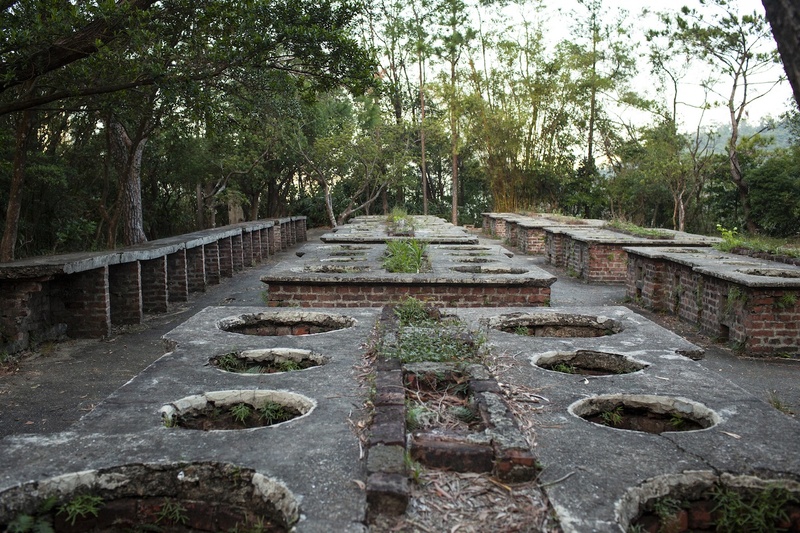 Two of four in the area, the large cement field stoves are the only relics of their kind in Hong Kong. 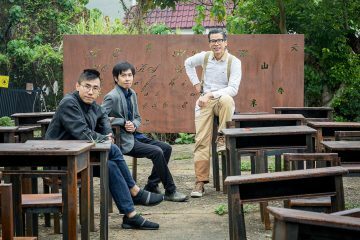 When Japan captured Guangzhou in 1938, Hong Kong’s preparations to weather attacks included the stoves, provision stockpiles, and air-raid shelters in the hills above Quarry Bay and Shau Kei Wan, the most populous part of the island at the time. The Japanese launched a surprise attack on Hong Kong and managed to capture the city after an intensely bloody 18-day battle. The stoves never had a chance to be used. Now harmless ferns and blue-tailed skinks live within the cement networks of stoves meant to sustain a people at war. 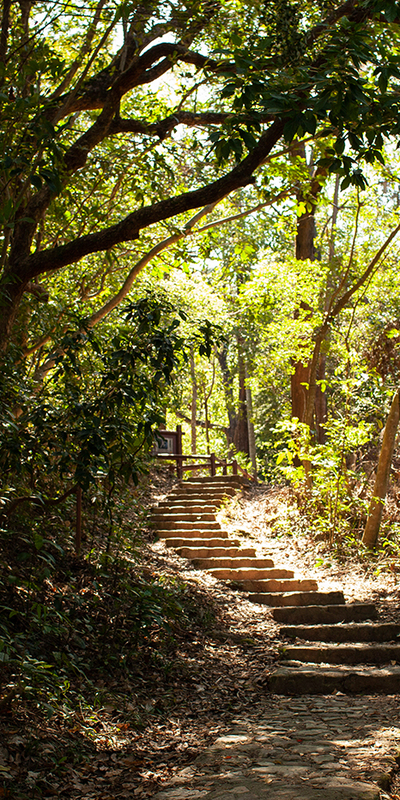 Past the stoves, the bamboo and banyan-shaded trail crosses a small stream before coming to a clearing devoted to Kwun Yam, the Goddess of Mercy. Her life-sized statue is adorned with freshly-cut roses and a bucket for cleansing oneself in the gently gurgling water at her feet. 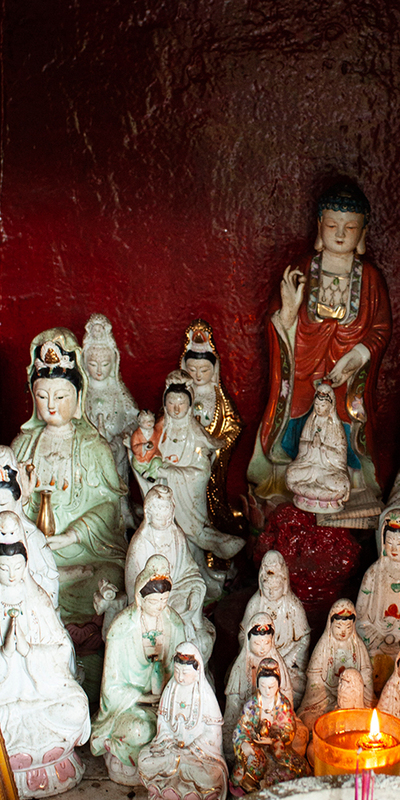 Just beyond the statue, to the right of the Wilson Trail, sit two smaller shrines housing idols of various Buddhist and Taoist gods. 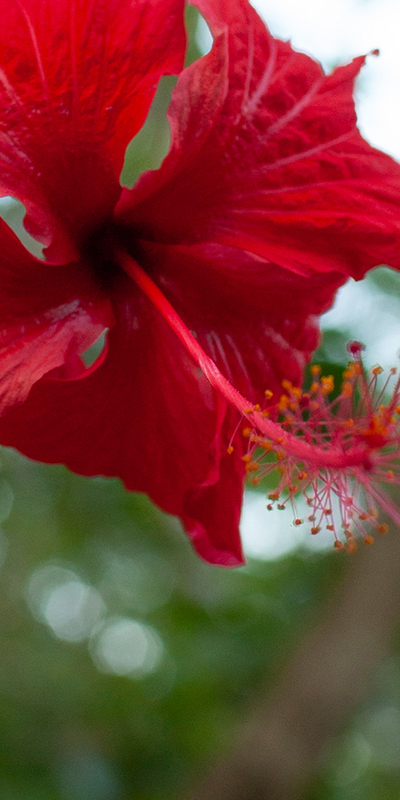 This section of the trail is pleasantly sprinkled with colourful hibiscus and bougainvillea, insignia of the supernatural, and well-swept pavilions to take rest in. 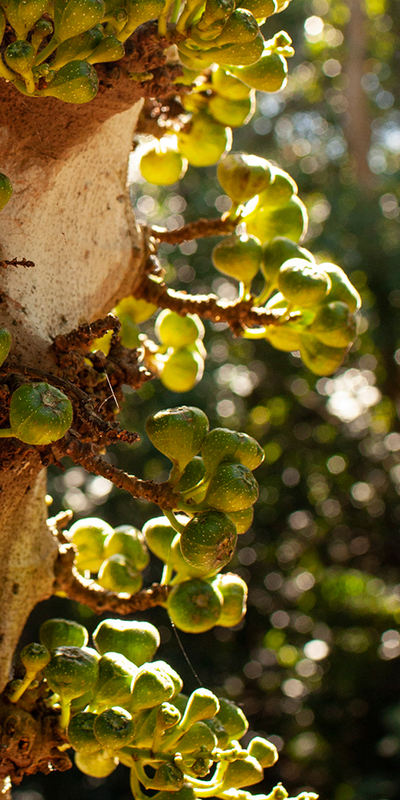 Wild boars and Taiwanese squirrels are not uncommon sights on this section of the trail known as Sir Cecil’s Ride. Sir Cecil’s Ride is one of the namesakes of Sir Cecil Clementi, the governor of Hong Kong from 1925 to 1930. The path was known to be one of the favourite riding routes of Clementi and his wife, Lady Marie Penelope, during his time in office. 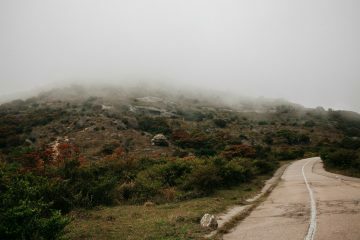 The trail intersects Mount Parker Road, then begins to steepen with the ascent of Siu Ma Shan — “Pony Mountain” (siu2 maa5 saan1 小馬山) — a 424-metre hill overlooking Quarry Bay and Kowloon Bay. When the small stream alongside the trail is low, the flat, wide rocks at the beginning of the climb are an inviting spot for a break before the relentless stairs ahead; on a clear day the views are tremendous and the winds tend to keep the hillside cool. 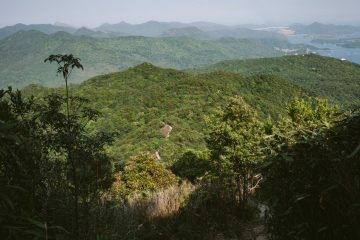 On the tough climb, hikers would do well to reward themselves with a moment’s rest to enjoy the steep views of northeastern Hong Kong Island at their backs, from the thick greenery to the gleaming skyscrapers below. 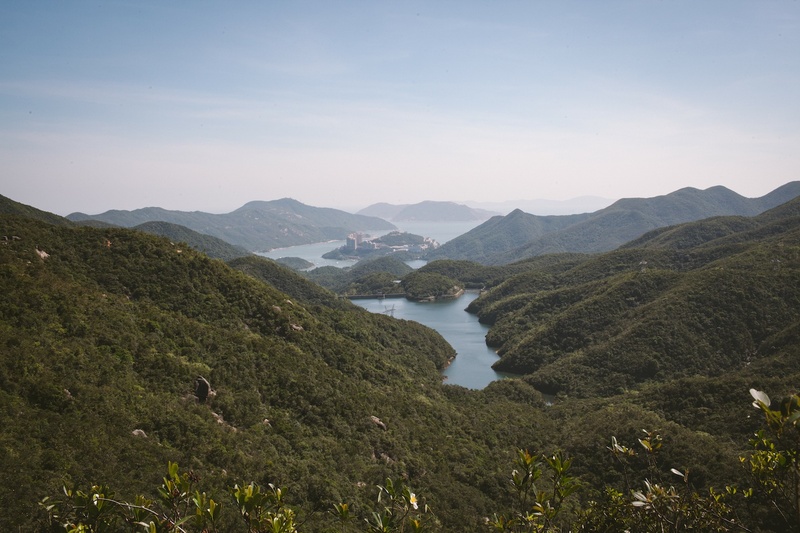 Ahead, views of nearby Mount Butler and Mount Parker emerge before the ridge section broadens and begins a mild descent offering an expansive panorama of the Tai Tam reservoirs, Stanley, and the islands beyond. 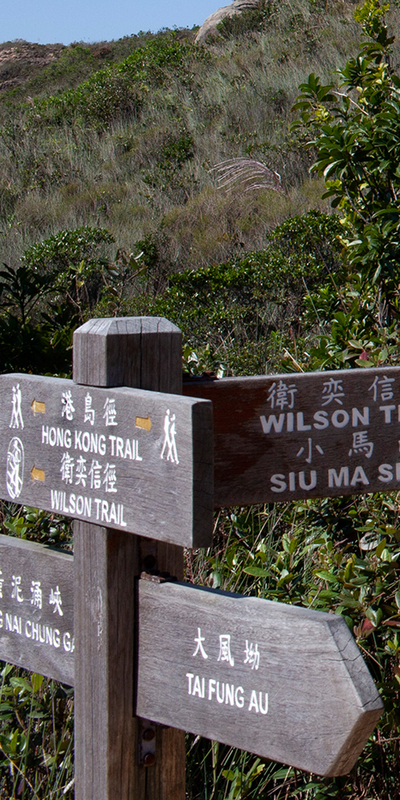 As the descent meets the junction for Mount Butler to the left, the Wilson Trail turns right towards Wong Ngai Chung Gap. 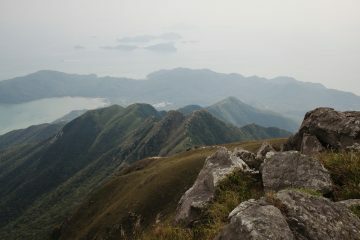 From here the trail skirts the quarry and the EOD, Hong Kong’s Explosive Ordnance Disposal Depot. 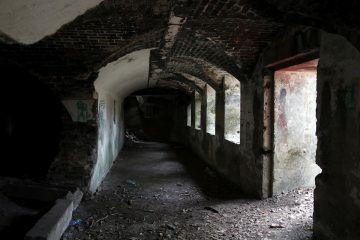 With these explosive associations and a possible wartime tunnel boarded up mere feet from the trail, the fences alongside the path are no surprise here. 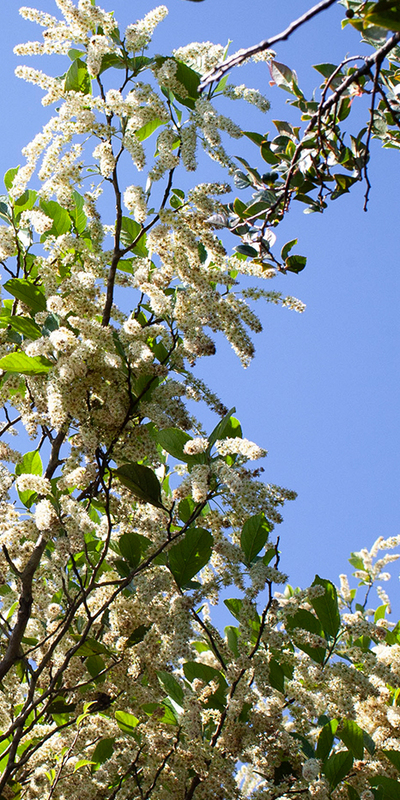 White Camellia and Acacia blooms decorate the trail as it ascends again towards Jardine’s Lookout. 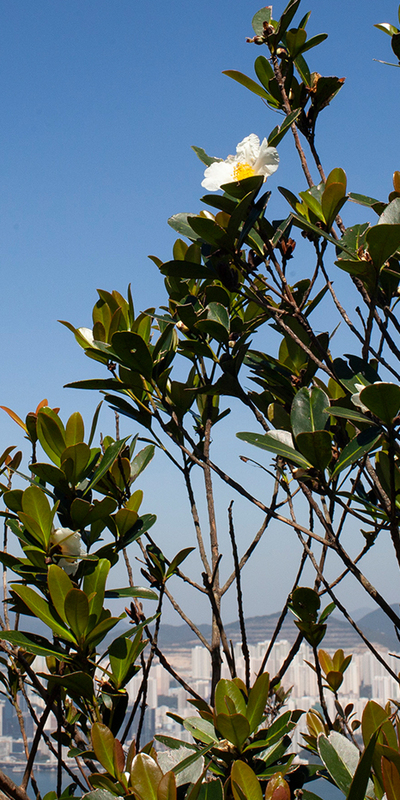 Mind the Grantham’s Camellias – they are protected under forestry regulations as they are endangered in most of China and are being actively propagated in Hong Kong parks. A trigonometric point marks the summit of Jardine’s Lookout, a 433-metre hill that was used by the influential British firm Jardine Matheson to spot and intercept mailing vessels from India and London in the mid-1800s. The hilltop is now better known as one of the sites of conflict in the Battle of Hong Kong. Japanese troops used Sir Cecil’s ride to approach the hillside, where tragedy ensued for the Allied troops who defended the city. 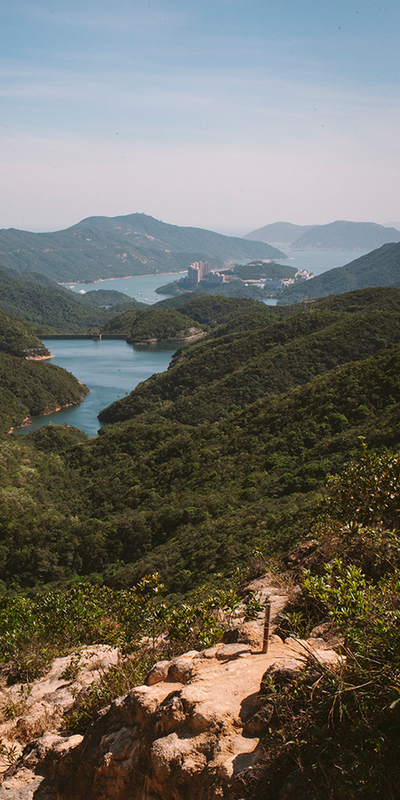 From Jardine’s Lookout, the Wilson Trail descends again towards the pale pink Parkview complex rising above the surrounding green of Tai Tam Country Park. Ocean Park and Ap Lei Chau become visible in the distance before the path plunges below the tree-line. 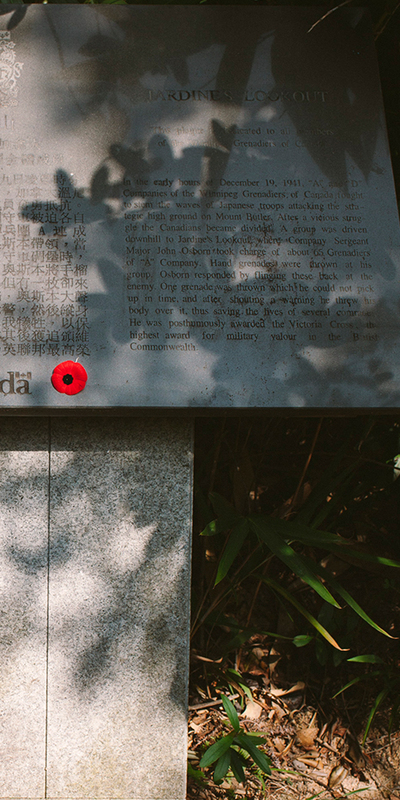 Alongside the path, a granite plaque adorned in red memorial flowers commemorates Major Sergeant John Osborn of the Winnipeg Grenadiers of Canada. In the Battle of Hong Kong, Osborn threw his body over a grenade launched by Japanese troops, saving the lives of several fellow Grenadiers. Osborn was the only soldier in the Battle of Hong Kong awarded the highest honour of the British Commonwealth, the Victoria Cross. Osborn’s plaque is the last of the sombre remnants of war along the trail. 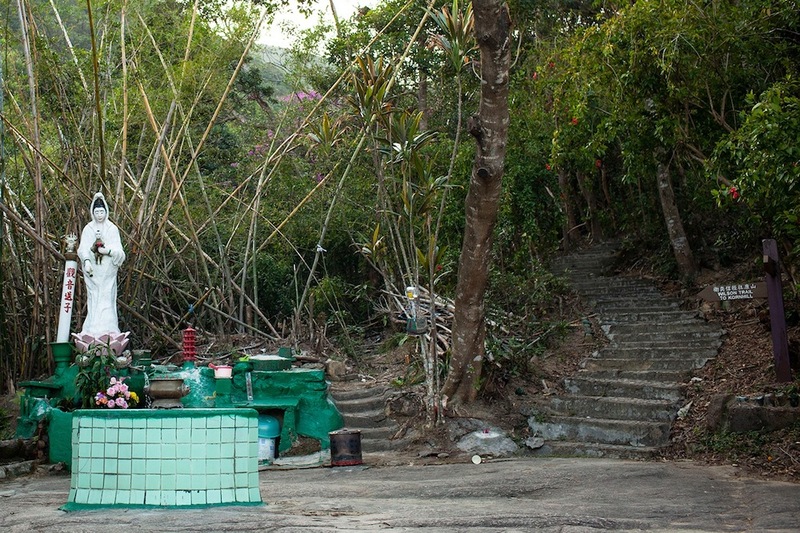 Soon after, the path intersects with Tai Tam Reservoir Road, offering transportation back to urbanity. 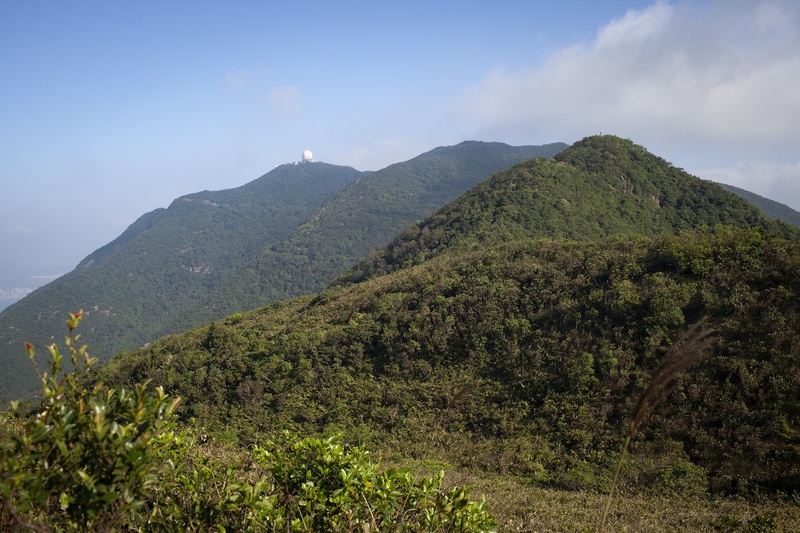 For those who would like to continue revelling in the outdoors, Section 3 of the Wilson Trail picks up just down the road towards Wong Ngai Chung Reservoir. From Tai Koo MTR station, take Exit B to Grieg Road and look for signs for the Quarry Bay Tree Walk and Wilson Trail Stage 2 on the right. The hike takes around two hours. Bring sun protection and at least one litre of water per person. This underrated trail features spectacular natural scenery and a lesson in World War II history.